The future of Russian ports will be determined by the plan for core transport infrastructure development till 2024, corporatization of Rosmorport and legislative improvements. All of this is to raise overall annual capacity of Russian ports by 350 million tonnes minimum with their throughput to grow by one third. 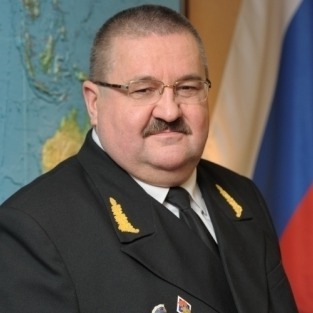 Overall annual capacity of Russian ports has exceeded 1 billion tonnes, Yevgeny Ditrikh, Minister of Transport of the Russian Federation, said at the Transport Week 2018 in Moscow. 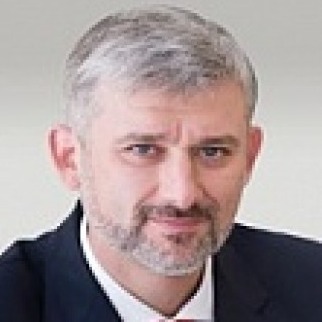 Yury Tsvetkov, Deputy Minister of Transport – head of Rosmorrechflot (Federal Marine and River Transport Agency), said in his turn that “Comprehensive plan for upgrading and expanding core transport infrastructure till 2024” foresees the growth of Russian ports’ capacity by 350 million tonnes per year by 2024 with their throughput expected to grow by one third. When speaking at the meeting of Consumer Council on Rosmorport Activities, Andrey Lavrishchev, General Director of the company said that annual capacity growth by 350 million tonnes is foreseen by a basic scenario, with an optimistic one expecting the growth by 600 million tonnes. According to the basic scenario, annual capacity of ports in the Arctic Basin is to grow by 65 million tonnes, in the Far East Basin – by 130 million tonnes, in the North-West Basin – by almost 55 million tonnes, in the Azov-Black Sea Basin and the Caspian Basin by 105 million tonnes. This result is to be achieved through implementation of several ambitious projects covered by the mentioned plan. Among the projects selection criteria was their attractiveness for private investments. The growth of ports capacity in the Baltic Basin is to be driven mainly by further development of Ust-Luga where a transshipment facility of Novotrans is to be built as well as a terminal for transshipment of mineral fertilizers (Eurochem and Ultramar). These projects will let decrease dependence on the neighboring countries’ ports. As of today, Russia lacks dedicated terminals for transshipment of dry bulk cargo, especially mineral fertilizers and coal, as we wrote earlier >>>>. Among the projects foreseen by the Plan in the Arctic Basin, is a coal terminal, Lavna, to be built on the left shore of the Kola Bay (Murmansk Region). Lavna will be the first port concession in Russia. The A concession agreement for implementation of the project on construction of coal terminal “Lavna” in Murmansk was signed on 20 November 2018. The terminal will be built through private-public partnership with Commercial Sea Port “Lavna” LLC as an investor and State Transport Leasing Company (STLC) as a beneficiary. Besides, the Arctic Basin is to see the construction of Utrenniy terminal with annual capacity exceeding 21 million tonnes (NOVATEK), a coal terminal at port Dickson with annual capacity of 10 million tonnes, an LNG transshipment terminal in the Ura Bay (Murmansk Region) with annual capacity of 20 million tonnes (NOVATEK), an oil terminal on the Taimyr Peninsula with annual capacity of 7.5 million tonnes (Neftegazholding). Besides, the project on construction of deep-water area at the port of Arkhangelsk can also be included in the plan. Its cargo base is estimated at 25 to 46 million tonnes per year with cargo flows partially taken over from the ports of the Baltic states. The development of Arctic ports is associated icebreaking assistance on the Northern Sea Route. As Vyacheslav Ruksha, head of FSUE Atomflot, said at Transport Week 2018, transport support of coal production on the Taimyr Peninsula and development of the Paiyakhskoe field means the need for construction of two more LK-60 icebreakers, apart from three ships under construction. This construction will be economically reasonable if they are to operate round the year for 25-30 years. Mixed financing is supposed for the 4th and the 5th nuclear-powered multipurpose icebreakers estimated at RUB 100 billion. RUB 45 billion will come from the federal budget, RUB 10 billion – from Rosatom Corporation with loan-based funding to cover the rest of the cost. Not only nuclear-powered icebreakers and not for the Arctic alone are needed in Russia. Rosmorport is going to build nine icebreakers by 2025. As Rosmorport told IAA PortNews, two icebreakers will have a capacity of 18 MW each (one for the Baltic Sea and the other for the Far East), two auxiliary icebreakers will have a capacity of 12-14 MW (for the Baltic Sea and Arkhangelsk, designing process is underway), on port icebreaker of 6-8 MW in capacity is intended for the North-West (designing process is underway), and four shallow-draft icebreakers have been ordered to SC Zvezda. According to Andrey Lavrishchev, the share of icebreaking services in total revenues of Rosmorport is almost 10%. 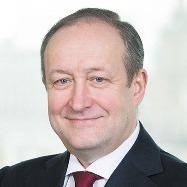 When asked by IAA PortNews at Transport Week 2018, Sergey Frank said it would be reasonable to create infrastructure for LNG bunkering at the ports of the Baltic Sea, in Murmansk, Petropavlovsk-Kamchatsky, Sabetta and on Sakhalin. As Aleksandr Strashny, Development Director, ZAO GT Morstroy (designer), told IAA PortNews at the Oil Terminal 2018 congress in Saint-Petersburg, LNG bunkering is not planned at gas transshipment facilities to be built in Murmansk and in Petropavlovsk-Kamchatsky. At the port of Sabetta, it will be arranged at the berths intended for transshipment of project cargo. In the Far East, the capacity will grow primarily with implementation of the project on construction of Vostochny Port’s Phase 3. When Phase 3 facilities are put into operation, Vostochny Port’s annual capacity will grow by 39-40 million tonnes in 2019. The project is being implemented without involvement of state financing. Besides, a coal terminal is under construction in the Muchke Bay. The project investor VaninoTransUgol. 100% subsidiary of Coal Mining Company “Kolmar”. VaninoTransUgol has obtained a status of a Free Port of Vladivostok resident. Read more about the project in IAA PortNews interview with Yury Tyamushkin, General Director of VaninoTransUgol >>>> . The terminal is designed to handled 24 million tonnes of coal per year with a possibility to be expanded to 40 million tonnes. There are also plans to build Port Vera and Sukhodol terminals, an alumina terminal in Vanino (Rusal) and a container terminal Pacific Logistics in Vladivostok. Besides, the Plan foresees modernization and reconstruction of terminals for Vanino-Kholmsk ferry service and hydraulic engineering structures for the port of Petropavlovsk-Kamchatsky. In the Southern Basin, a substantial development is expected at the port of Taman through the project on construction of a dry cargo area and development of OTEKO facilities. As for the port of Novorossiysk, the Plan foresees the development of NUTEP’s terminal and KSK terminal. When speaking at Transport Week 2018, Igor Levitin, Aide to the President of Russia, said the special attention should be paid to the development of the Caspian Basin lagging behind other basins. “In my opinion, - and we are preparing to undertake measures in pursuance of presidential instructions, we need large-capacity vessels for the Caspian Sea. If we do not succeed, there is no sense to carry 20-30 vehicles by ship, it does not work. We need vessels of larger capacity to carry more vehicles. There is a solution concerning the Caspian Sea, an agreement has been signed, the Caspian Sea is open. Any Caspian country offering new variants of cargo transportation will dominate in the Caspian region, indeed. I hope very much that the Ministry of Transport will be able to find solutions together with the Ministry of Industry: we should be able to build such ships”, said Igor Levitin. FSUE Rosmorport is to undergo corporatization which is important for Russian ports. According to Andrey Lavrishchev the draft law on corporatization has passed primary discussion by federal executive authorities. Its basic principle is the preservation of the unity and centralized control of seaports’ infrastructure facilities. 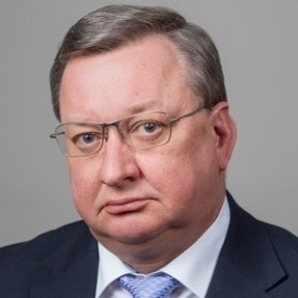 “In our opinion, the form of a join-stock company will let Rosmorport be more flexible and comfortable for cooperation, will facilitate the decision making process without prejudice to the interests of the State when it comes to federal property management”, said Andrey Lavrishchev. As a conclusion, the key trends of stevedoring activities will be the reduction of projects’ budgetary funding, improvement of legislation, upgrading of the service fleet (first of all, the fleet of icebreakers), introduction of new technologies (LNG as a marine fuel and, in the long term, unmanned ships).